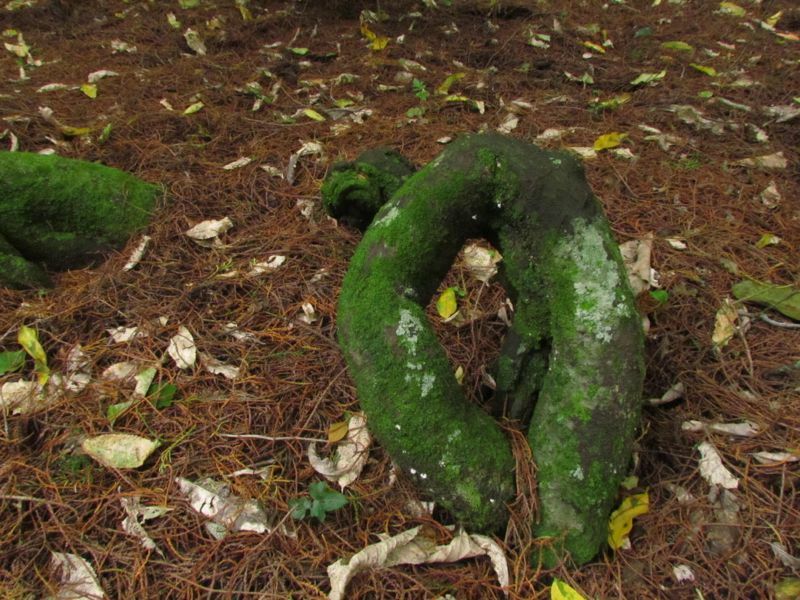 Like intriguing fibrous sculptures emerging out of the forest floor, these are parts of the buttressed roots of a kahikatea, or white pine. 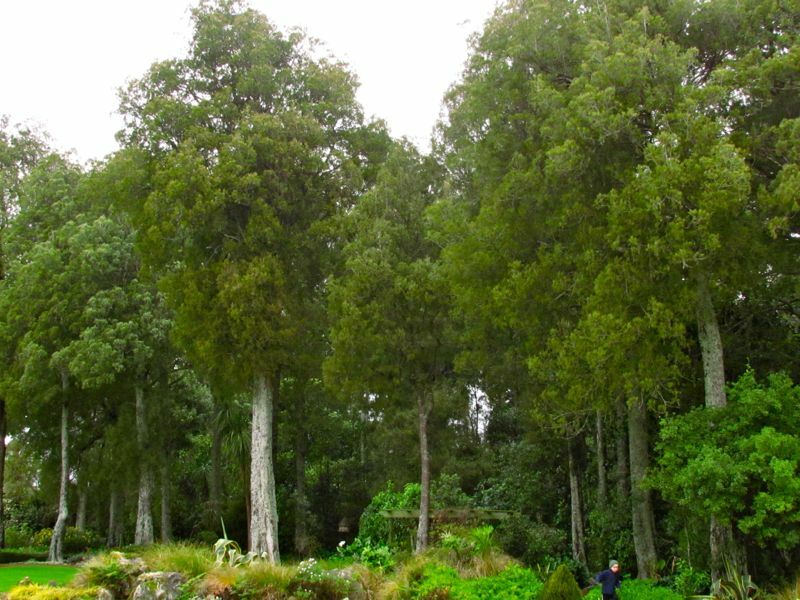 Kahikatea is one of the main canopy species of the semi-swamp forest which once grew on the flood plains of the Manawatu and throughout the country [see also: The slaying of our kahikatea forests: how Jurassic giants became butter boxes]. Today, there are only a few small patches remaining in the Manawatu, many of these only a shadow of their original splendour. This particular remnant, although small, is one of the best preserved, under the careful stewardship of the Clausen family. (Also known as Buchanan’s Bush, it is described in Alan Esler’s 1972 book The Botany of the Manawatu.) It is one of only a few remaining fragments of the forest that grew around the fringes of the Taonui Basin. Due to its swampy nature, this area was one of the last to be subdivided and settled for farming in the Manawatu, and required ongoing drainage work to allow the land to be farmed. 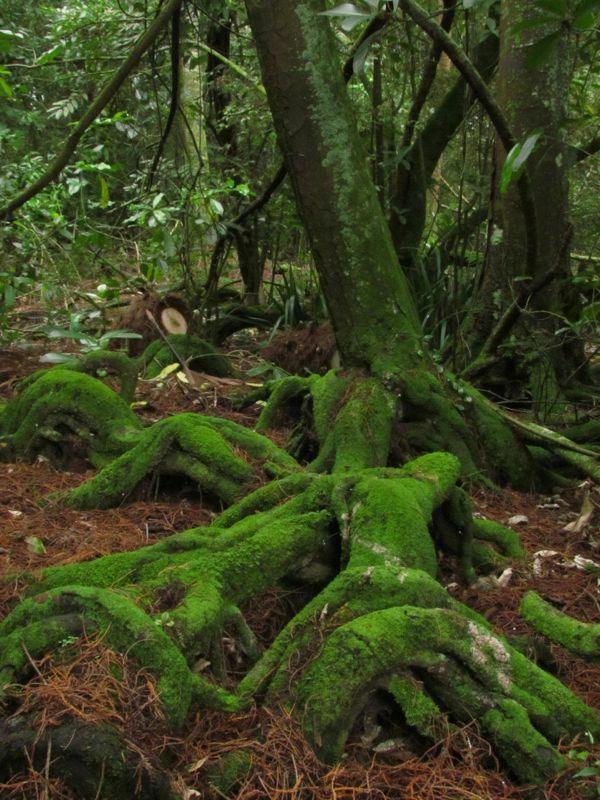 The roots of the kahikatea are testament to the waterlogged soils that it once grew in. When growing in naturally swampy areas, the kahikatea, New Zealand’s tallest native tree, has sinuous, buttressed roots that protrude above ground, and intertwine with those of neighbouring kahikatea. In swampy ground, these provide the tree with the stability it requires to grow to such towering heights. Sadly, their height also made them valuable as a timber resource, though for nothing more than butter boxes in latter years. Few of the original kahikatea giants remain even where semi-swamp forest still survives (for example at Round Bush Reserve, near Foxton), making this piece of forest all the more precious. Those roots are a work of art. Half expect them to crawl away at any moment.